Jeremy Thurman was born in Paris, Texas and raised in Valliant Oklahoma where he graduated in the top 3 of his class. Jeremy went from Valliant High School to Southeastern Oklahoma State University where he obtained a degree in Biological Health Sciences with a minor in Chemistry. Jeremy attended law school at the University of Oklahoma, where he regularly made the Dean’s Honor Roll. He received his juris-doctorate degree from the University of Oklahoma in May 2002 and passed the Oklahoma Bar Exam in July 2002 to become an Oklahoma lawyer in September 2002. Jeremy then went to work for an insurance defense firm in Oklahoma City before joining practices with Noble McIntyre at Nix & McIntyre, LLP, in 2004. In 2009, Jeremy joined Noble McIntyre at McIntyre Law. Jeremy’s wife, Shannon, is a teacher at Moore Public Schools. They have 3 children, Ashli Mehgan (20), Keeli Nicole (13) and Chloi Elizabeth (9). Jeremy enjoys spending his evenings watching his girls in their various activities. He has served several years as executive vice president of a local soccer club and donates his time assisting in various charities throughout the Oklahoma City area. Jeremy and Shannon are also active in their local church and enjoy spending time with their extended family. 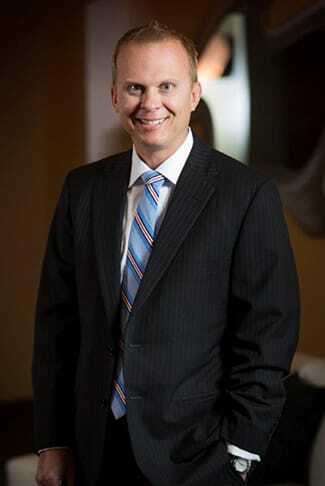 Jeremy has received numerous awards in conjunction with his practice. His been recognized as a Super Lawyer rising star in Oklahoma and a Top 40 Under 40 trial attorney by The National Trial Lawyers, and was named a Junior Partner to McIntyre Law in 2010. Jeremy is a respected, compassionate and highly motivated trial attorney. He takes great pride in representing injured Oklahomans throughout the state. His sole goal is to provide each and every client the best representation so that they can begin to put their lives back together. Jeremy takes great pride in helping his client’s put their lives back together. Jeremy and Noble McIntyre have practiced together for over a decade and during that time have obtained tens of millions of dollars of settlements for their injured clients. University of Oklahoma College of Law, Norman, OklahomaJ.D.